Scottish conceptual Katie Paterson created an artwork ‚Campo del Cielo, Field of the Sky‚ based on a 4.5-billion-year-old meteorite that was cast, melted, and recast back into a new version of itself while retaining its original form. The artwork has been on display as part of the 2014 Edinburgh Art Festival, and ESA agreed to load a small sample of the meteorite on the supply spacecraft ATV Georges Lemaître as a symbolic return to space. Meteorites and asteroids, imbued with cosmic history are crucial to the scientific understanding of our Solar System and our origins on Earth. ESA is involved in many activities in this domain, most notably the comet catcher Rosetta as well as near-Earth object studies and future robotic and human missions. 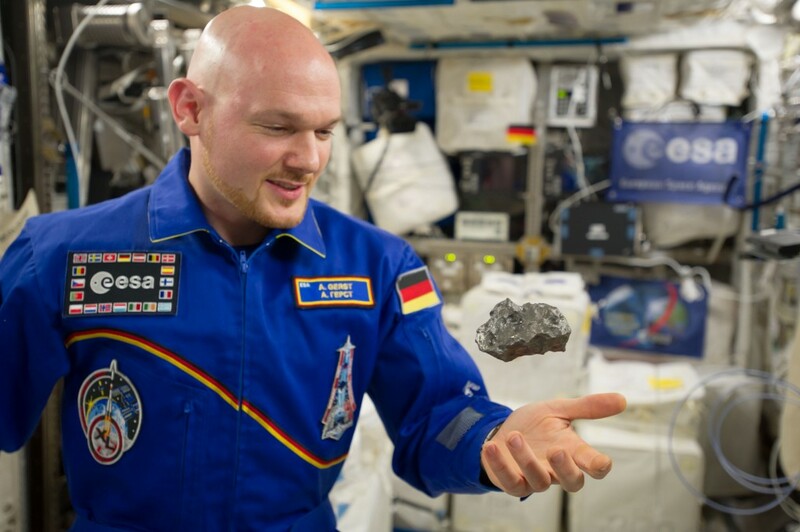 Before the Campo del Cielo meteorite was handed over to ESA for safety testing it was on show at the UK’s prestigious Turner Contemporary gallery. 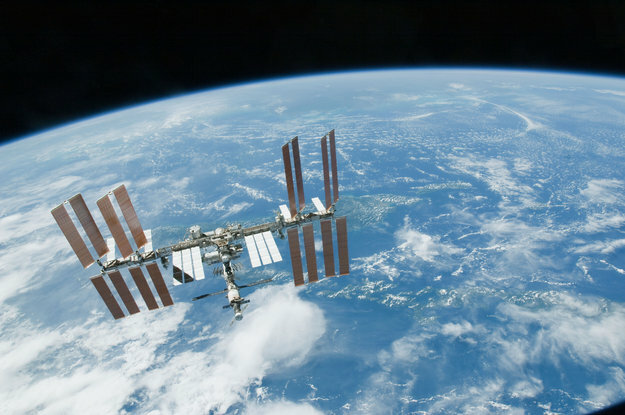 The piece is now back in space as an artwork on the International Space Station. 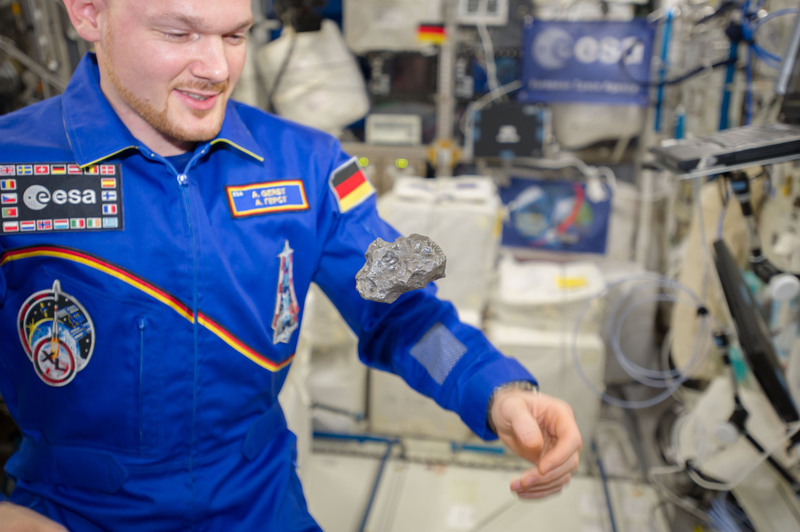 ESA astronaut Alexander Gerst is responsible for unloading the cargo from ATV Georges Lemaître and took a moment to observe Katie’s artwork in weightlessness.